Pexus LLC specializes in Software, Systems, Solutions and Services. Pexus LLC is registered in the State of Texas. Pexus has been in operation since 1995 with our first product offering	X-Deep/32 PC X-Server. Our latest product offering is Pexus Patriot PS - Personal Server. In a fast changing IT landscape every day users find hard to keep pace with computer technology. Patriot PS - Personal Server is all about helping home users take control of their data, e-mail and help automate their home, personal tasks without relying on third party servers and their subscription charges. Remember the days of good old PC when software was bought as shrink wrapped software that kept your personal data right in your own home. Today with the advent of mobile computing, PC is no more the central computing device in a home, but there is a room for a 24x7 low maintenance secure server that will perfectly complement today's mobile computing lifestyle. Pexus believes that Personal Server is the re-incarnation of the good old PC that people loved but disappeared from our homes into Internet and remote cloud, taking with it personal data and privacy. It is time to bring it back - Personal Server is Your Server, Your Data on Your terms!. Pexus has been involved in a number of software related projects for our clients including custom software product development and services. Pexus is currently focused in the area of web, mobile and Personal Server / Cloud solutions. Pradeep Nambiar is the founder and Principal of Pexus LLC (formerly Pexus Systems Inc.). He started his IT career in 1987 after graduating from IIT-Roorkee (formerly University of Roorkee) with Bachelor of Engineering (Honors) in Computer Sc. & Technology. He is the author of the popular X Window Server product - Pexus X-Deep/32 which was introduced in 1995 as the first 32bit X-Server on Windows Platform. 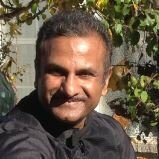 He is the product architect and developer of Pexus's latest offering Pexus Patriot PS - Personal Server. He is passionate about data security and digital privacy and empowering users to use IT technology to take control of their data on their terms.